It means the case will now be treated as a formal, legal dispute between the two states involved – Britain and Iran. Mr Hunt said the move was unlikely to be a “magic wand” to get her release but was an “important diplomatic step”. He said it “demonstrates to the whole world that Nazanin is innocent” and signalled to Iran “that its behaviour is totally wrong”. However, Iran refuses to recognise dual nationals so does not recognise Mrs Zaghari-Ratcliffe’s right to be represented by Britain. Diplomatic protection is a rare legal procedure in international law. States can use it to help one of its nationals whose rights have been breached in another country. According to the BBC’s diplomatic correspondent James Landale, her new legal status will not force Iran to change the way it treats her. But it will allow Britain to raise her case with greater ease at international forums like the United Nations. On Thursday, Mr Hunt said he decided to grant Mrs Zaghari-Ratcliffe this status because of Iran’s “unacceptable treatment” of her – such as the denial of medical treatment and legal support required by international law. “This represents formal recognition by the British government that her treatment fails to meet Iran’s obligations under international law and elevates it to a formal state-to-state issue,” he said in a statement. “My decision is an important diplomatic step which signals to Tehran that its behaviour is totally wrong. “It is unlikely to be a magic wand that leads to an overnight result. But it demonstrates to the whole world that Nazanin is innocent and the UK will not stand by when one of its citizens is treated so unjustly. 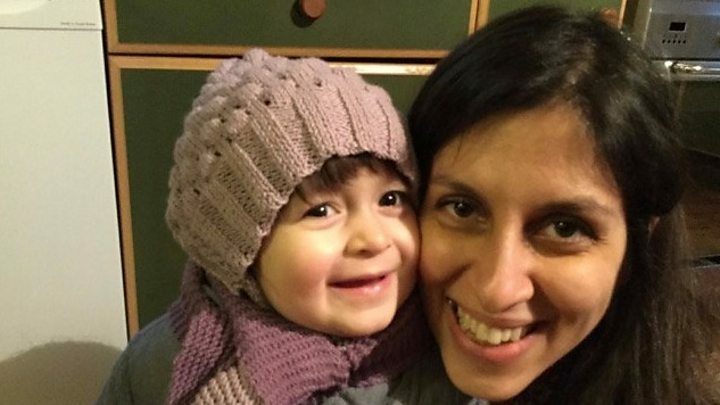 So what British diplomats hope is that this sends a clear signal to Iran that this issue is not going away, that the UK government is determined to keep pushing for Mrs Zaghari-Ratcliffe’s release, and that it is prepared to escalate the dispute in the face of Tehran’s intransigence. 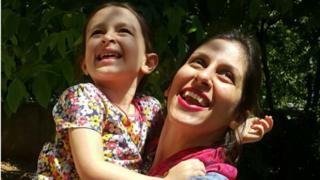 The granting of diplomatic protection will have no immediate impact on Mrs Zaghari-Ratcliffe’s conditions in jail in Tehran. But what diplomats hope is that it will focus minds in Tehran, not just in the foreign ministry but also among the hardliners whom officials believe will ultimately decide Mrs Zaghari-Ratcliffe’s future. Richard Ratcliffe, who has been campaigning for his wife’s release – and for the UK government to take this step – welcomed the news. And human rights organisation Redress, which has been pushing for the UK government to grant diplomatic protection to Mrs Zaghari-Ratcliffe for more than a year, said the decision was “hugely significant” for her. Rupert Skilbeck, the director of Redress, said it “gives her hope for the future, now that her case has been formally taken up by the UK government”. Mrs Zaghari-Ratcliffe, 41, has dual British and Iranian citizenship. Before her arrest, she was a project manager for the Thomson Reuters Foundation and lived in London. She was arrested in Iran April 2016 and later sentenced for allegedly plotting against the Iranian government.